With ArtickPix, children can self-monitor their speech productions resulting in greater engagement and highly effective practice. ArtickPix provides fun ways for children to receive high quality speech practice during flashcard and matching activities. BIG Launcher makes the smartphone suitable for seniors, children, and people with eye diseases, motor problems or the legally blind. Visually impaired and technically challenged users can use the simplae and easy-to-read interface with ease. There is no fear of making a mistake and losing everything with stress-free navigation. It also features a potential life saving SOS button. Blitab is the world's first tactile tablet for blind and visually impaired people. The reading and writing tablet is like an e-book but instead of using a screen, displays small physical bubbles. They rise and fall on demand, composing a whole page in Braille code without any mechanical elements. Keep track of your blood pressure (BP) over time. 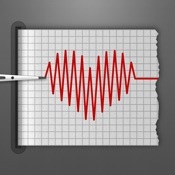 Add your blood pressure readings, view your previous readings, and also get them displayed as a graph. Determine whether you have normal BP, hypertension or hypotension based on the colour of the readings. Blood Pressure Monitor Family Lite allows you to record your blood pressure and weight. It comes with lifetime data visualization, statistics reporting, medication correlation, email import/export, built-in reminders and much more. Cardiograph measures your heart rate using the devices built-in camera to take pictures of your fingertip and calculate your hearts rhythm. You can save your results for future reference, keep track of multiple people with individual profiles, add notes and locations, and even print out your measurements for sharing or safe keeping. CF MedCare helps people with cystic fibrosis manage their medications. Key features of the app include allowing users to create their own treatment profile, receive reminders, and capture compliance. Easy Diet Diary Australian Calorie Counter helps you manage your weight. With over 50,000 Australian foods and over 400 exercise activities in its quality-controlled databases, Easy Diet Diary lets you track your food and exercise quickly and easily. 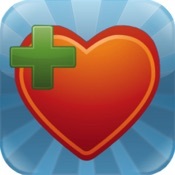 Find My Friends allows you to locate friends and family using your iPhone, iPad, or iPod touch. 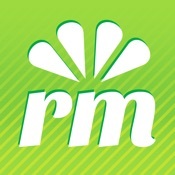 Just install this free app and sign in with the Apple ID you use with iCloud. Adding a friend is easy just choose from your contacts or provide an email address to send an invitation. When your friend accepts your invitation using the Find My Friends app on their device, you can start following their location. Your friends can request to follow your location the same way. 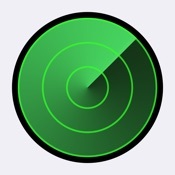 Find My iPhone will let you use another iOS device to find it and protect your data. Simply install this free app on another iOS device, open it, and sign in with the Apple ID you use for iCloud. Find My iPhone will help you locate your missing device on a map, remotely lock it, play a sound, display a message, or erase all the data on it. Find My Phone locates your lost, stolen or misplaced phone. It also lets you do a reverse phone look up, trace mobile numbers or look up phone numbers of mobile devices. The Help Me button sounds a warning and allows you to send off an SMS text to two (2) nominated safety numbers, as part of your Trusted Safety Network. Included in the text are GPS co-ordinates from where the text was sent, so the sender can be located or a last known lace of contact is indicated. I.am.here helps paralysed people to regain the ability to communicate by transforming brain signals into the human language. iBooks allows you to download and read books. iBooks includes the iBooks Store, where you can download the latest bestselling books or your favourite classics day or night. Kindle gives users the ability to read Kindle books, and PDFs on an easy-to-use interface. With access to over 1,000,000* books in the Kindle Store Amazon Whispersync , it automatically syncs your last page read, bookmarks, notes, and highlights across devices (including Kindle), so you can pick up your book where you left off on another device. With Learn Braille Language Alphabet, children and adults can learn how to speak, listen and write Braille alphabets in a gentle and informal way. Life360 allows you to create discreet Circles for the important people in your life, share your location with who you want, when you want, get automatic notifications when friends and family arrive at favourite places and communicate one-to-one or to an entire group with free in-app messaging. Living Safely provides self-directed learning sessions for 27 important safety skills topics, allowing people with autism, learning or other developmental disabilities to go at their own pace. Magnifying Glass With Light. You can also take a photo of the magnified text or image and save it to you device for later retrieval. The 10 apps in this speech therapy bundle engages the visual, audio and tactile senses, helping children learn faster and retain what they learn with more ease. 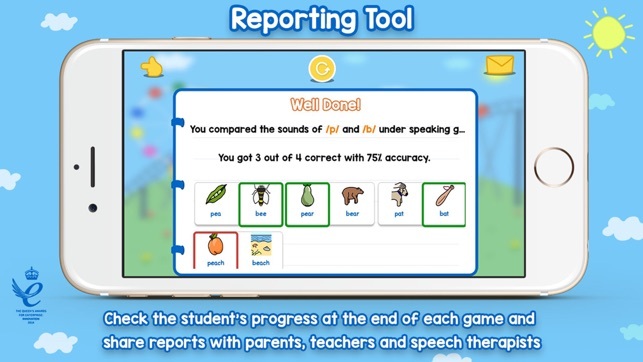 From honing the basics of sentence construction, learning how to build full fledged narratives, to mastering social conversations, the MES Speech Therapy App Bundle allow speech pathologists and parents help students overcome language and social difficulties in a fun and engaging way. Minimal Pair Pack is a fun application for working on speech sound discrimination and production. Designed for children with developmental communication difficulties and also adults with phonological difficulties, the app uses flash card style tasks to teach speech sounds. Achieve your weight loss and healthy eating goals with MyNetDiary. MyNetDiary helps you plan your diet, track food and exercise, make better food choices, and achieve your goals faster. 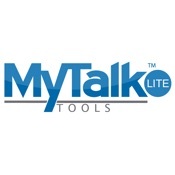 MyTalkTools Mobile Tools Lite makes it easy for you to customise how you communicate through a variety of images, pictures, symbols, video (for modelling and social stories) and digital audio files including human voice. A handy app for people who are deaf or have a hearing impairment to send and receive posts about community announcements or emergency messages that might otherwise be communicated using audio or radio. Read eBooks and listen to audiobooks from your library using OverDrive Media Console on iPad, iPhone, and iPod touch. More than 22,000 libraries worldwide offer titles via OverDrive, so download the app and add your library today. With over 300 hand, wrist and elbow exercises to choose from to create a personalised home program, app users can view an image of the exercise, read instructions and follow their therapist's advice. Sleep Cycle is an intelligent alarm clock that analyses your sleep and wakes you in the lightest sleep phase the natural way to wake up feeling rested and relaxed. Tecla provides a set of tools that provides access to mobile devices for those who are unable to manipulate them due to disease or disability. You can use the Tecla Shield to control your Android device with your powered wheelchair or adapted switches, control the device and enter text using your voice, and automatically wake and unlock the device on switch action. Voice Dream Reader is a customisable text-to-speech app that can read content in a variety of voices/languages. Reading speed, voice to font and text size can be personalised as well. WebMD has health tools like Symptom Checker and local health listings, in addition to trusted information about medicine and first aid essentials. White Noise provides ambient sounds of the environment to help you relax during the day and sleep great at night. White Noise also blocks distractions, soothes headaches and migraines and masks tinnitus (ringing of the ears). These apps and tools have been compiled as a useful resource only. However, we do not endorse those listed and we encourage you to examine them for suitability of use and purpose.Responsibility for the apps and tools included on this page sits with the app publishers. Data rates may apply for downloading and accessing content and features of different apps. Please refer to the Queensland Government website disclaimer for additional information. Find out more about other apps available for downloading on more general topics for Queenslanders. The Australian Communications and Media Authority's 'Apps & in-apps purchases: a guide for consumers' has information about understanding app basics, avoiding unintended purchases, getting refunds, dodging bill shock, and using apps safely.